"NJD Services detailed my car before I sold it and I ended up getting an extra $2,000 trade in for my car!" NJDeDecker Services Group was founded in 2000 (as NJD Services LLC) when Norm DeDecker turned his childhood hobby into a successful business. NJDeDecker Services Group has been successful ever since and has expanding into new ventures while still providing great customer service. NJDeDecker Services Group offers many services including but not limited to: lawn care, landscaping, dump trailers, irrigation systems, auto and boat detailing and much, much more! If you are interested in any of our services please feel free to visit the service page that relates to the service you are interested in purchasing by either finding it below or in the services panel on the left side of this website. NJDeDecker Services can make your lawn and grounds stand our compared to everyone else and you will never have to worry about your lawn maintenance with NJDeDecker Service! If your business needs a landscape face lift we can help make the exterior of your building and property look great! Our work will have your customers giving you compliments all of the time. Lawn care is one of the most important factors in owning a house. 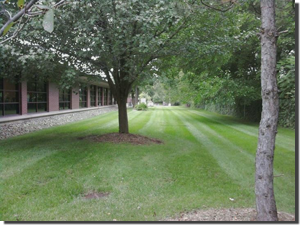 NJDeDecker Services can take the strain off of your back will will make all of your neighbors jealous of your lawn. NJDeDecker Services has years of experience in the flower industry and will make your property look great in no time with our flower expertise! NJDeDecker Service can deliver sod to you for as low as $2 per yard! We also offer sod installtion for any sized project. While other companies simply clean up and leave you to haul away the mess, NJDeDecker Services gives our customers a full service cleanup which inculdes hauling away the clean up material. NJDeDecker Services can install, service, repair and even remove any irrigation systems in a residential or commercial location. Do you love do it yourself projects but don't have the resources to transport your materials? If you answered yes, NJDeDecker Services can deliver your materials quickly and for a great price! Michigan's fierce snowstorms are known for burring parking lots. NJDeDecker Services can provide a quick and coinvent snow removal process without interrupting your business. Are you doing a home improvement project where you need garbage removal? If so our trailers are great because all you do is fill it up and we will haul it away. You Fill, We Haul! If your car, truck, SUV or boat is looking worn down or just needs a good cleaning NJDeDecker Services can help you. We provide washes, waxing, sealant and interior cleaning and shampooing. NJDeDecker Services can help you transport your car or motorcycle without putting any miles on the vehicle or causing any damage. All vehicles are transported in an enclosed trailer.